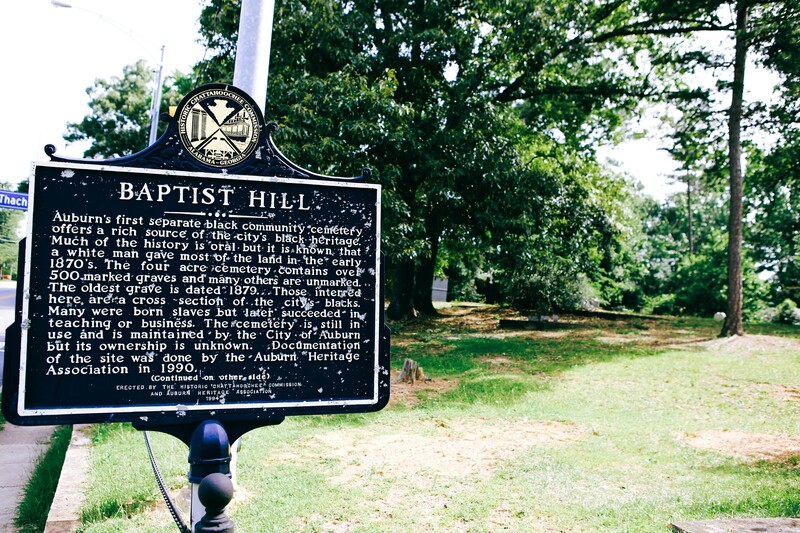 Baptist Hill Cemetery located at the intersection South Dean Road and Thatch Avenue is Auburn's first separate black community cemetery, which offers a rich source of the city's black heritage. Much of the history is oral but it is known that a white man donated most of the land in the early 1870s. The four acre cemetery contains over 500 marked graves and many other unmarked graves. The oldest grave is dated 1879. Those interred here are a cross section of the city’s black residents. Many were born slaves but later succeeded in teaching or business. The cemetery is still in use and is maintained by the City of Auburn, and its ownership is unknown. Documentation of the site was done by the Auburn Heritage Association in 1990. 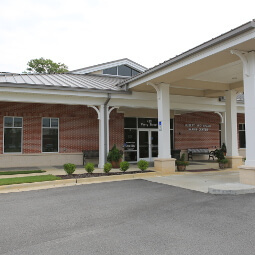 Baptist Hill Cemetery is open for visitation sunup to sundown.